Tile Studio is a complete development utility for graphics of tile-based games. 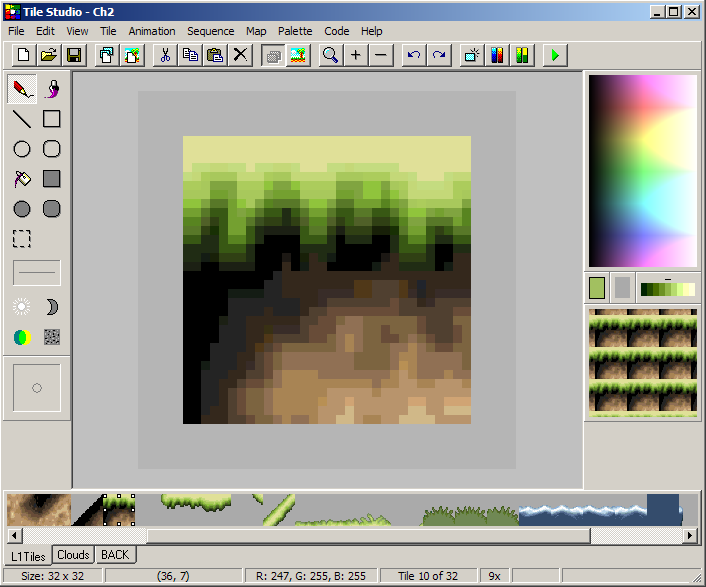 The application contains a bitmap editor for creating tiles and sprites and a map editor for designing level maps. Tile Studio can be used together with any programming language, since the output is completely programmable. You can program Tile Studio to output your maps, animation sequences, bitmaps, palettes, etc.